We’ve been printing booklets for years here at Kaizen print and over the last year we acquired a brand spanking new booklet maker which only made this so much easier and so much quicker. It allowed us to increase the capacity that we printed, getting everything out to you quicker. But we don’t just want to stop at printing your booklets. We’re here for advice too and today we’re going to give a little booklet printing and design. We aren’t going to lie, we have A LOT of different types of booklets on offer. 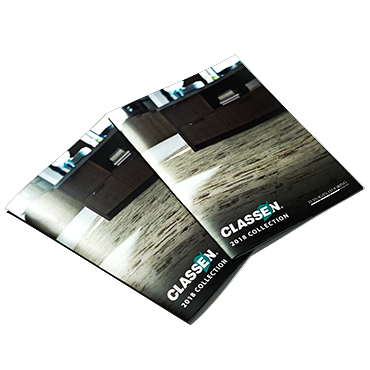 From standard Digitally Printed booklets to Premium Litho Printed ones. We understand that when you want to get booklets printed, it can be confusing trying to figure out what you need. But it is important to, so that the whole process goes smoothly and it’ll work out cheaper for you choosing the right type. So before placing your order, take a look at what we have and think long and hard about where your booklets are going to be and who is going to handle them. From there, you can make the right choice on spec. We have a number of different a number of different covers available from standard covers, to heavy, to gloss and matt laminated. The choice really is up to you, just make sure it is the right one. The front cover of your booklet is going to be the first thing that everyone see, so it needs to convey what you are all about immediately. It needs to be eye-catching but also clear, so that readers can make out what is on there. One way to do this is by using imagery on the front, accompanied by a little bit of text. However, make sure that whatever imagery you choose that it is of a high resolution. There really isn’t much worse than seeing a booklet that has been printed on premium paper, but the imagery on the cover is incredibly pixelated. The same goes for whatever imagery you have on the inside. Make sure people can see what it is without having to squint or bring the booklet right the way up to their face, this will seriously put them off reading it and that isn’t what you want. Before you send your booklets away from print it is imperative that they have been set up right to actually be printed. This means making sure that all of your bleed and margins have been included and that they are correct. Without them or if they are off, your booklet will not come out the way you want it to. A great way to do this is through the use of Adobes InDesign software. It is purpose built for putting booklets together and quite simple to use. As well as this, make sure that it is set up to be printed on the right size of paper, for example if it is supposed to be A4 make sure it’s set up for this, instead of A3 or A5. At Kaizen Print we always want to make sure that our customers are happy, whether that is through printing your products with super quick turnaround times or giving you a little advice so that your project goes smoothly. With that in mind, to begin ordering your booklets online – which is the simplest way – head on over to our booklet printing section of our website and select what you need. This entry was posted in Printing and tagged Booklet Design, booklet printing, Booklet printing belfast.